I became aware of Robert Walser through his novels (The Tannersand The Assistant). 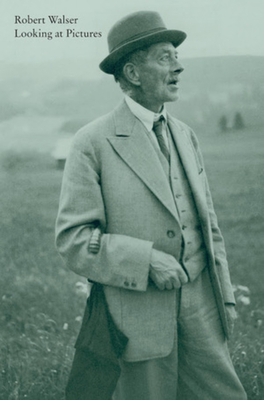 It was Walser's characters who grabbed me, but his flowing prose that kept me. This gorgeously crafted book, with tipped-in plates of the paintings, collects Walser's musings on the arts and the artists. Looking At Pictures is a lovely book wherein art is explored with whimsy and awareness. A beautiful and elegant collection, with gorgeous full-color art reproductions, Looking at Pictures presents a little-known side of the eccentric Swiss genius: his great writings on art. His essays consider Van Gogh, Cezanne, Rembrandt, Cranach, Watteau, Fragonard, Brueghel and his own brother Karl and also discuss general topics such as the character of the artist and of the dilettante as well as the differences between painters and poets. Every piece is marked by Walser's unique eye, his delicate sensitivity, and his very particular sensibilities and all are touched by his magic screwball wit.